District 3 is right in the heart of the city, home to many expats and Vietnamese professionals who find District 1 overcrowded, along with families who’ve lived in their narrow homes for generations. Although there are several bleak government buildings, most of the area has an interesting vibe, and the side streets are jam-packed with shops and restaurants. Check out District 3 to see a different side of the city. The Nhieu Loc – Thi Nghe Canal, which separates District 3 and Phu Nhuan, is a thriving area that has gone through some remarkable transformations in the last 20 years. It was once a place to avoid because of sewage, but now it’s a small oasis in the middle of a cement jungle. There are hundreds of restaurants along the canal, both foreign and local. For local flavors, try Khe. The food is good, the beer is cheap and it’s definitely not a touristy place. It’s technically in District 1, but the borders don’t really make sense in this area anyway. This is a humbling experience, one that probably won’t help you feel much better about humanity and our proclivity for violence. Even though it’s been over four decades since the conflict ended, the pain in the images is still just as visceral as the day they were taken. 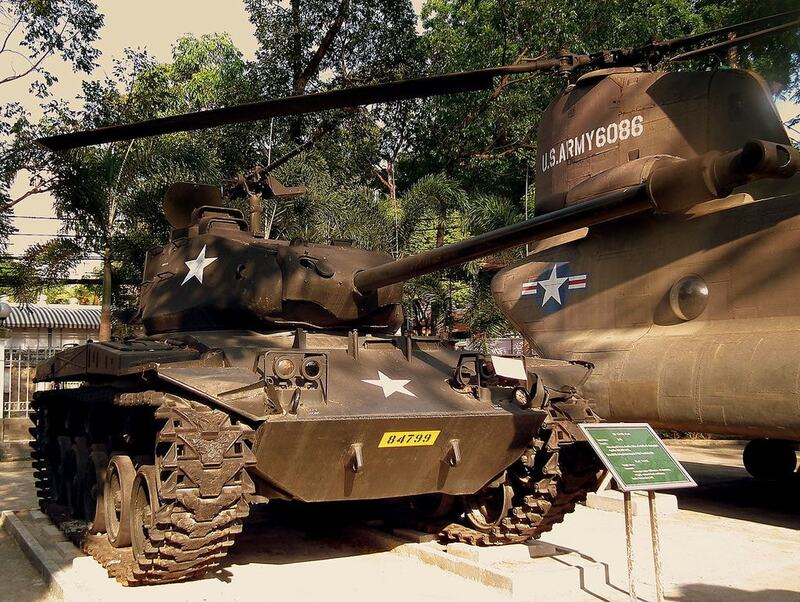 There are guns, cameras, uniforms and even large hardware like an American Huey helicopter and a fighter jet on display. 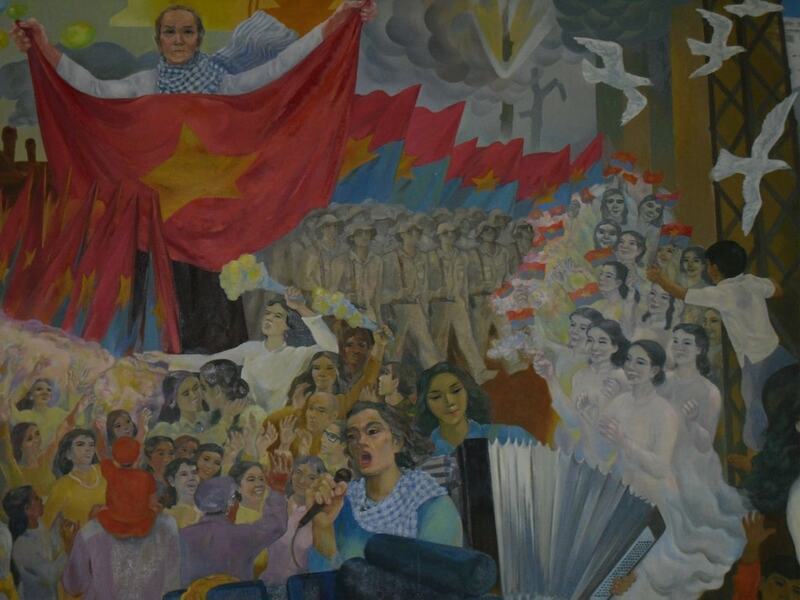 This museum is an absolute must if you’re a history buff. 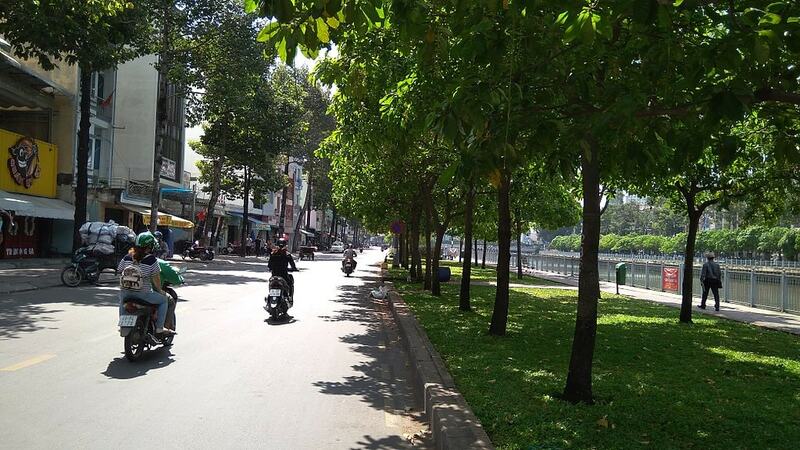 Hai Ba Trung alone is a fascinating street, with fruit markets and fancy restaurants and boutique shops stretching all the way to the Saigon River downtown. But in District 3, right before the street crosses the canal and changes its name, there is a wonderfully odd sight: the Tan Dinh Church. Most people simply call it the ‘Pink Church’. 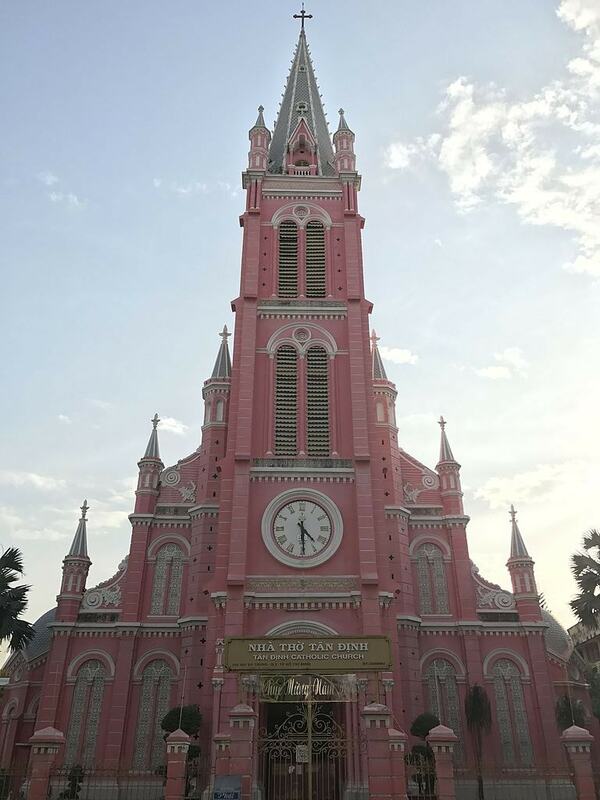 Built in the late 19th century, during the French colonial years, the ‘Pink Church’ is the second largest in the city, after the Notre Dame Cathedral in District 1. It’s still in use, operated by the Roman Catholic Archdiocese of Ho Chi Minh City. And after you have a look at the church, you really should take a walk down some of the surrounding streets. Much of Saigon is hidden, so you’ll need to stray into the alleys if you want to see how people really live here. The word lake is a bit generous for this landmark — pond would be more appropriate. But it doesn’t really matter, because people don’t come here to look at the grimy water. Public spaces are at a premium in Ho Chi Minh City, so for people without the means to afford eating out at a restaurant, Turtle Lake provides a ledge to sit on, and cheap street food as well. Every night, hundreds of young people park their motorbikes around Turtle Lake to chat and hold hands. It’s dating, Vietnamese style. Bring your drink of choice and watch this interesting scene. Vietnam has traditionally been a matriarchal society, and it still is in many ways. Look at any family gathering, and you’ll notice it’s the grandmas who run the show. Women have played integral roles in all facets of this country’s rich history, from the Trưng sisters and their fight against Chinese rule two millennia ago to the women of today who are leading the companies forging the economic future of Vietnam. This museum has displays on ethnic dress, jewellery and a strong focus on the diverse roles women played during the wars. Live music is getting harder to find these days. It seems that the tide of playlists and DJs in bikinis will never recede. Thankfully, there are still places like Yoko Cafe where great musicians get their chance to strut their stuff onstage. Check them out on Thursday, Friday and Saturday night. Join in with the hip crowd of music enthusiasts. 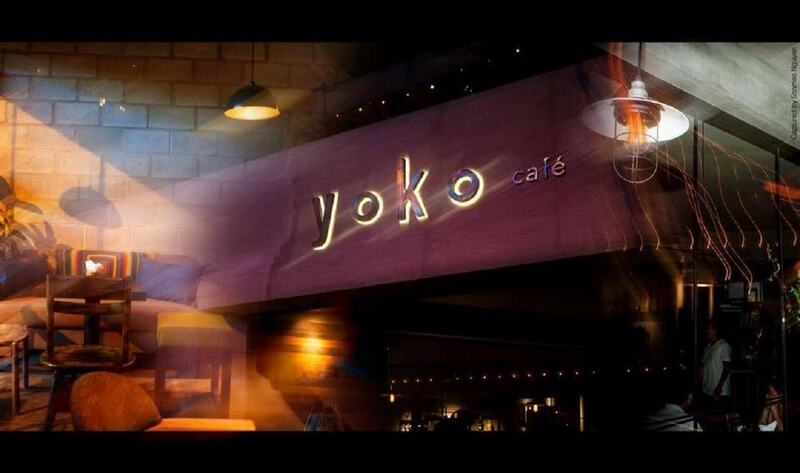 Yoko Cafe is popular with both locals and expats alike, but not too many tourists stray this far from District 1.